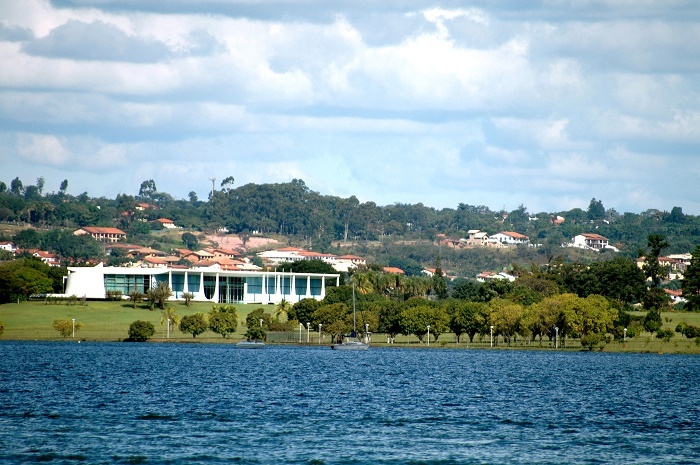 The Palácio da Alvorada is known as the official residence of the President of Brazil, and it is located on a peninsula in the Paranoá Lake, in the capital city of the Federative Republic of Brazil, Brasília. 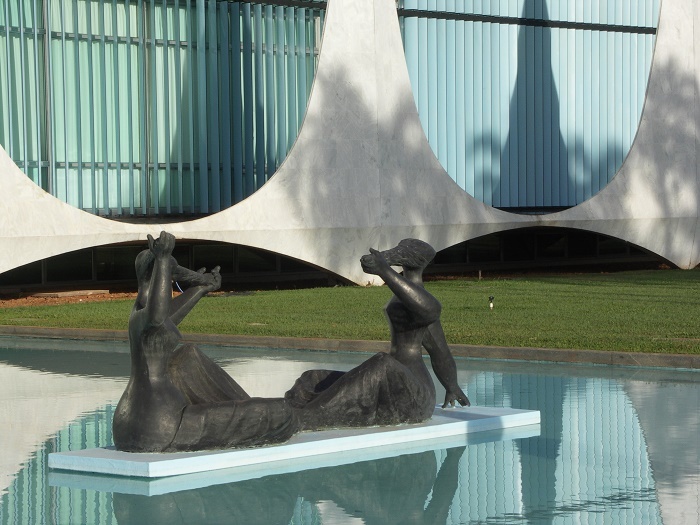 Inaugurated in 1958, two years before the inauguration of the new capital, the name is translated to ‘Palace of the Dawn’, which is taken from Juscelino Kubitschek’s words that Brasília is ‘a new dawn in the Brazilian history’. 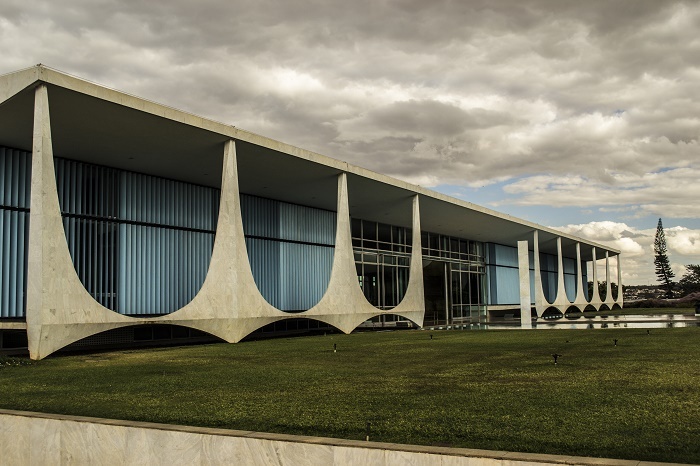 Designed by the Brazilian architect, Oscar Niemeyer, Palácio da Alvorada has a modernist architectural style which is almost exact as the workplace of the President, Palácio do Planalto. 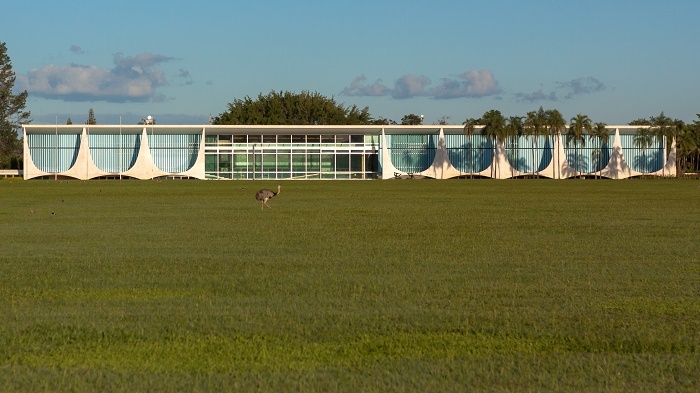 With an area of about 7,000 square meters (75,000 square feet), the building has three floors, where two are above and one below ground. 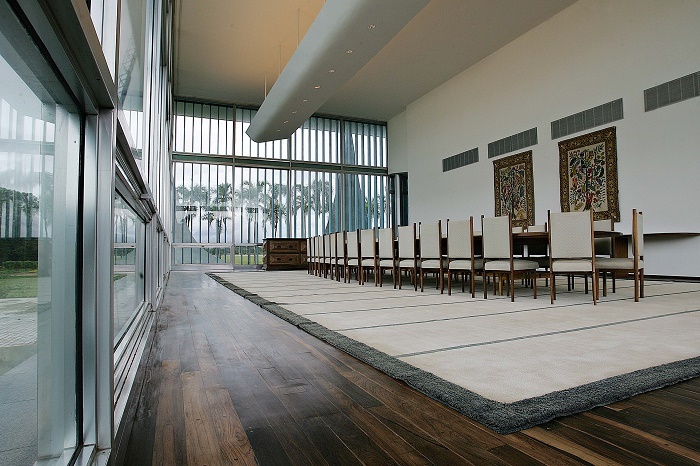 The floor that is located below features movie theater, game room, kitchen, laundry, medical center, and the building’s administration, where the ground floor, or the first one is the place that houses the state rooms used by the presidency for official receptions. 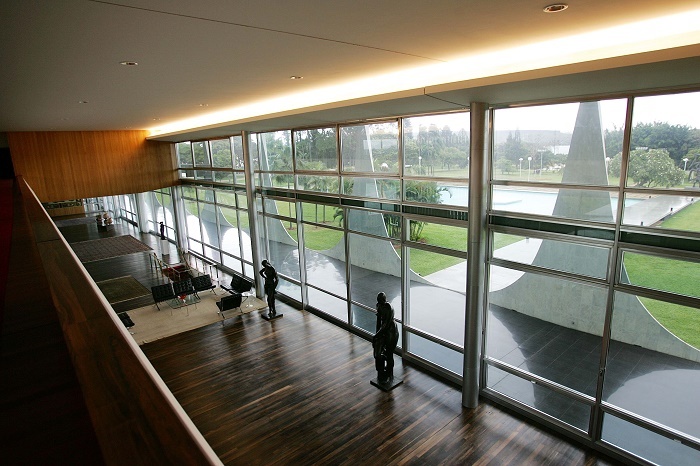 The Entrance Hall is the main entrance area which then continues with the Waiting Room, State Room, Library, Mezzanine, Dining Room, Music Room and Banquet Room. 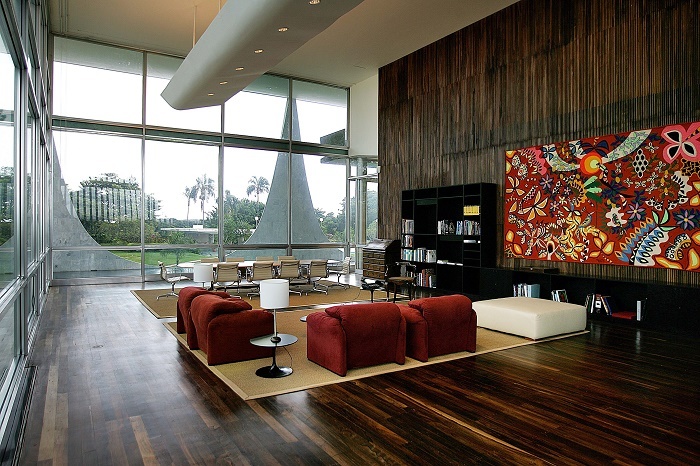 The upper floor is the place where the President of Brazil spends his time in one of the four suites, and in addition to them, there are also two guest apartments and other private rooms. 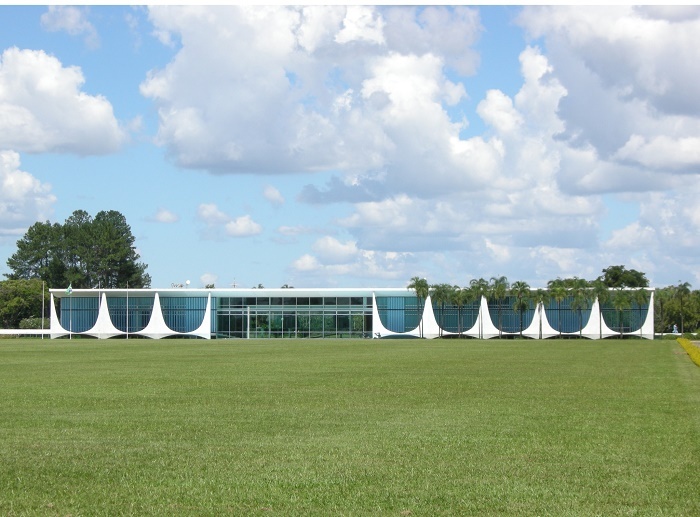 With around 160 employees working within the premises, Palácio da Alvorada is one of the most important places in the great nation of South America which is too inscribed as a National Historic Heritage of Brazil. 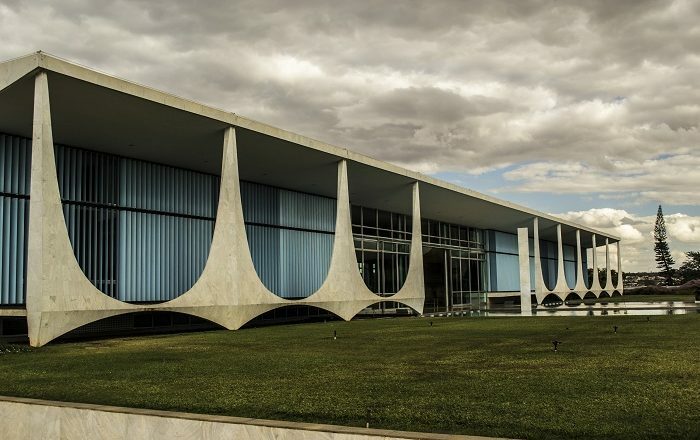 It went even further that it became symbol of the modern movement of Brazilian architecture, of cultural and technical progress of the country, where its columns became symbol of the city, present in the flag and coat of arms. 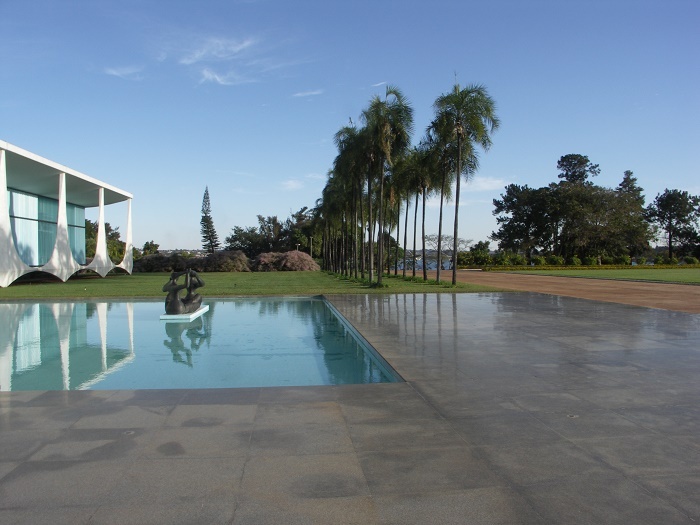 Oscar Niemeyer certainly created an amazing symmetrical masterpiece with impressive combination of marble columns, grass and water. 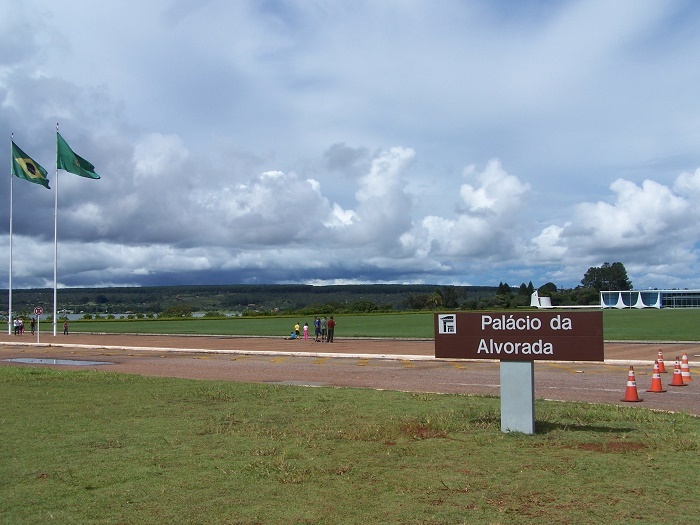 There was a major restoration project that was carried out between 2004 and 2006, which somehow was not funded by the government, but was part of an ongoing project of restoration of heritage sites under the direction of the National Institute of Historic and Artistic Heritage funded by private corporations. 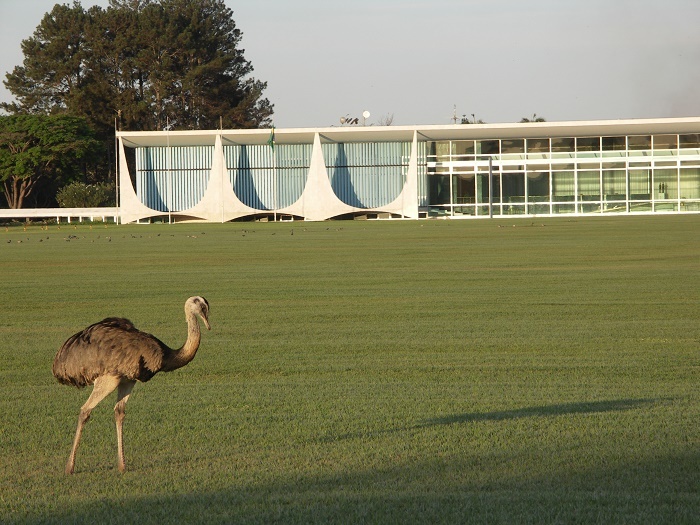 From time to time, there will be some stories that the palace is being haunted, which was claimed by Brazil’s president Michel Temer, saying that it has a spooky atmosphere and “bad energy”. 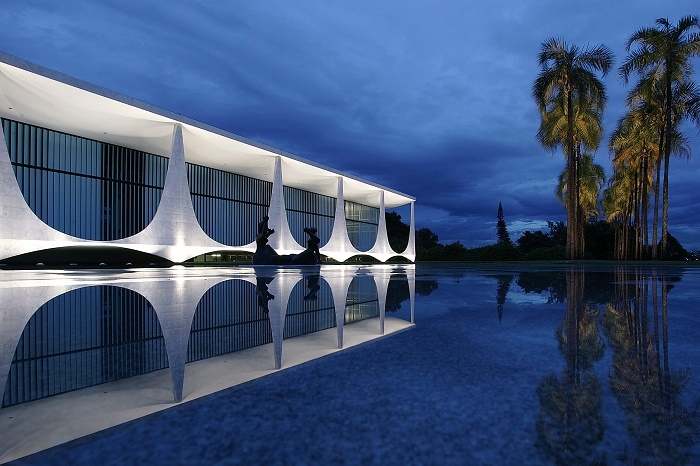 Whether it is haunted, nobody can tell since it will take plenty of effort for one to get elected President of Brazil, and have the privilege of living in one of Niemeyer’s glorious architectural masterpieces.